Employees that can work on a job and record their hours need to be entered here. 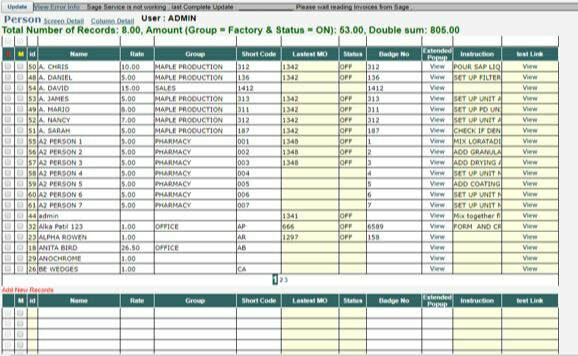 A cost of each employee can be added so that the estimated and actual employee cost of a job can be automatically calculated by the system . ​Here you will see the “Person” Screen. Notice : Every employee can have a rate associated with them . This means for every hour the employee works there will automatically be a labour cost to the job.